The Assarcas lie in the middle of the Massawa Channel and are little more than an obstruction to shipping. White Assarca, the southern island, is surrounded by white, sandy beaches, and hence the name. Black Assarca is little more than a large coral head protruding some two meters from the sea. The jagged, vertical sides of the island are stained black by the sea, and hence its name. 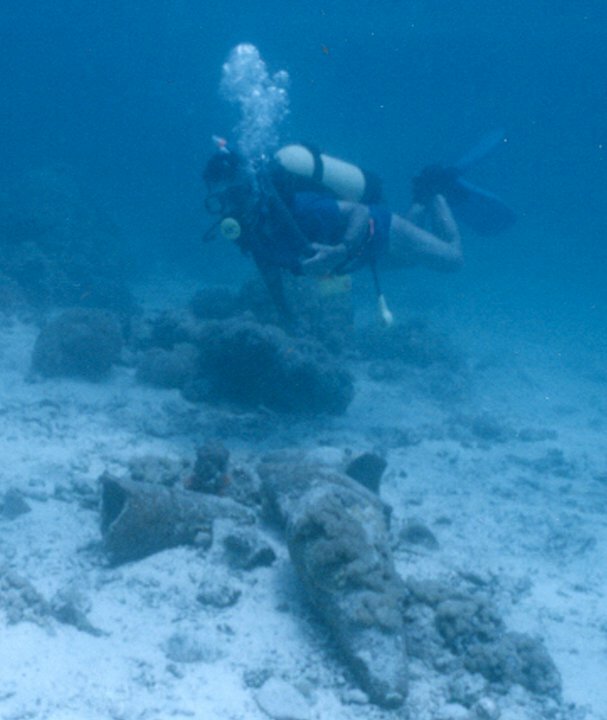 During a 1995 survey, this A.D. 5TH to 7TH -century shipwreck was discovered. Later, in 1997 a team from the Institute of Nautical Archaeology and the Dive Operations Unit of the Ministry of Marine Resources excavated the shipwreck lying off Black Assarca Island, Eritrea for fifty-five days in February and March. Black Assarca is a true desert island. There is no source of fresh water. That, however, has not prevented human habitation of the island in antiquity or in modern times when it has been host to an Italian gun battery, a lighthouse keeper, and most recently the INA archaeological crew. The ship that ran afoul of a dangerous reef ringing Black Assarca had carried a cargo of ceramics originating around the northern end of the Red Sea. Once thought to be an Alexandrian type, excavations in the 1980s and 1990s of kilns at Aqaba, Jordan revealed the pottery was most likely of Byzantine-Palestinian origin. Dates for the pottery range from the early fourth through the early seventh centuries after Christ. The most common vessel was the Assarca Type I amphora, a narrow, conical container with horizontal rilling, or corrugations, on the outer surface. The second most common ceramic was the Assarca Type II amphora, a globular jug with vertical rilling. A third vessel, Assarca Type III, was unique among the assemblage: a wide, conical amphora sharing the same horizontal rilling style as the Type I. All the vessels shared the same fabric type indicating a common point of origin. Casson, L., The Periplus Maris Erythraei. Princeton, 1989. Kobishchanov, Y., Axum, University Park, Pennsylvania, 1979. Munro-Hay, S. Aksum: An African Civilization of Late Antiquity. Edinburgh, 1991. 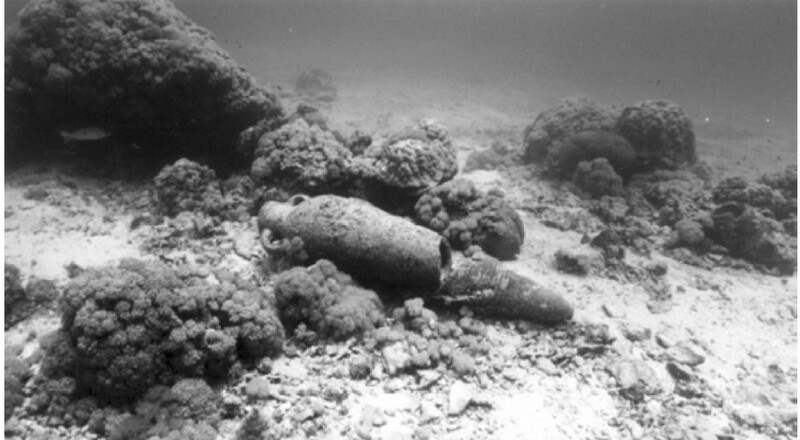 Pedersen, R. K., “Under the Erythraean Sea: An Ancient Shipwreck in Eritrea.” The INA Quarterly 27.2/3 (2000): 3-12. Pedersen, R. K., “The Aksumite Kingdom and Eritrea: The Historical Background.” The INA Quarterly 27.2/3 (2000): 13. Phillipson, D. W., Ancient Ethiopia. Aksum: Its Antecedents and Successors, London, 1998. ABOVE: The wreck site as found during the 1995 survey.